Pierre Henri Marie Schaeffer (born August 14, 1910, Nancy, Lorraine, France - died August 19, 1995, Aix-en-Provence, Bouches-du-Rhône, France) was a French composer, writer, broadcaster, engineer, musicologist and acoustician. 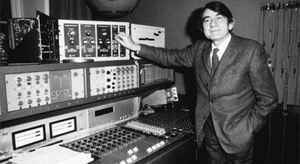 He is noted as the inventor of musique concrete. He is generally acknowledged as being the first composer to make music using magnetic tape. Schaeffer's parents were both engineers, and at first it seemed that Pierre would also take this as a career. He studied at the Ecole Polytechnique and after a stint as a telecommunications engineer in Strasbourg from 1934, he found a job in 1936 at Office de Radiodiffusion Télévision Française (ORTF) in Paris. It was there that he began to experiment with recorded sounds, convincing the radio station's management to let him use their equipment. He tried playing sounds backwards, slowing them down, speeding them up and juxtaposing them with other sounds, all techniques which were virtually unknown at that time. His first completed piece as a result of these experimentation was the Étude aux chemins de fer (1948) which was made from recordings of trains. By that time, Schaeffer had founded the Jeune France group, which had interests in theatre and visual art as well as music. In 1942, he co-founded the Studio d'Essai (later known as the Club d'Essai), which played an role in the activities of the French resistance during World War II, and became a centre of musical activity afterwards. In 1949, Schaeffer met Pierre Henry, and the two founded the Groupe de Recherche de Musique Concrète (GRMC) which received official recognition from ORTF in 1951. They gave him a new studio, which included a tape recorder. This was a significant development for Schaeffer, who had previously had to work with turntables to produce his music. His continued experimentation led him to publish A la recherche d'une musique concrete (The Search for a Concrete Music) in 1952, which was a summation of his working methods up to that point. Schaeffer left the GRMC in 1953, but reformed it in 1958 with Luc Ferrari and François-Bernard Mâche as the Groupe de Recherches Musicales (GRM). 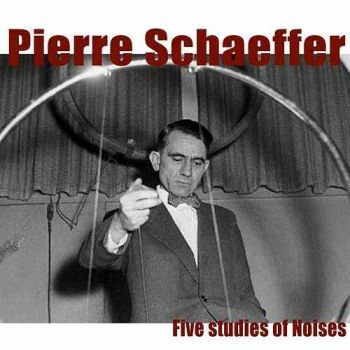 With the founding of the Service de Recherche de l'ORTF in 1960, of which he was made director, Schaeffer began to wind down his compositional activites in favour of sound research and teaching. One of his last pieces came in 1959, the Etudes aux Objets. In his new position, he continued to conduct his research into the sonic properties of objects, publishing an important work on the subject, Traité des objets musicaux, in 1966. In it, he attempts to classify all sound producing objects by dividing their characteristics into seven categories, which he called mass; dynamic; harmonic timbre; melodic profile; mass profile; gain; and inflection. Up to now no English translation of this massive work has appeared.